Welcome back to the first Project Stash of 2014! Even though our last party was several weeks ago, we still had so many great link-ups, including some that may be applicable to your New Year’s Resolutions! 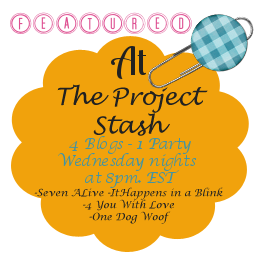 If you are new around here, The Project Stash is our weekly link party that is co-hosted by 4 blogs! Now onto this week’s party! I can’t wait to see what you’ve been working on during the holiday break!